Avocados: Did someone say guacamole!?! Believe it or not, there ARE other uses for these delicious things. Most people steer clear of avocados because 1 typically packs around 320 calories, which could be a sandwich or a lean cuisine. But, that doesn’t mean you shouldn’t eat them. Lately I’ve been having 1/2 of an avocado almost everyday (we’ll see how long my wallet likes this idea once we get into Fall/Winter). An additional 160 calories on my salad along with shrimp and other veggies adds soo much flavor (and fiber) that it really completes the meal and leaves me completely satisfied without wanting anything after. 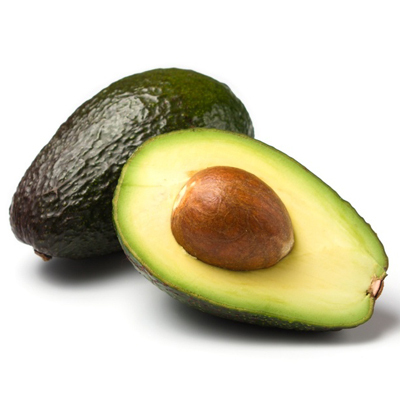 By far, the best thing about avocados (besides improving your hair and skin due to vitamin E) is that they can actually help you better absorb nutrients! Today I even made a tuna sandwich with 1/2 an avocado instead of mayo and it was amazing! There’s plenty of other reasons out there to eat these guys. Peanut Butter: Mmmmm this stuff is good! It’s hard not to eat a lot of it. After an intense workout or on the weekends, I love toasting a piece of whole wheat bread and spreading 1tblspn of peanut butter on it. 1tblspn may have 80 calories but it will help keep you feeling fuller longer and is soo yum when its over a warm piece of bread. Peanut butter also contains healthy mono-saturated fats! Plus with only 3g of sugar (most brands) it gives you that sweet taste without messing up your blood sugar. Another cool thing? Peanut butter also contains resveratrol, which helps your body fight viruses, molds, bacteria and gives you an overall stronger immune system! So go spread a little over some apple slices, make a PB&J, or dip some celery sticks in it.